Some people still prefer to use Window XP despite end of support by Microsoft. But what option you have if you want to upgrade to Window 7 or Window 8? Moravia IT needed to renew the Windows 7 licenses for its virtual machines, and it wanted to upgrade its physical PCs from Windows XP to Windows 7. 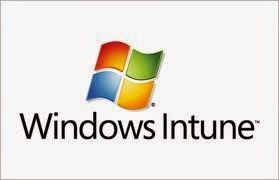 The company acquired desktop and virtualized versions of Windows 7 Enterprise included with a subscription to the Windows Intune PC-management service. As a result, Moravia IT kept hardware expenses low and extended the life of its physical PCs. Moravia IT is headquartered in the Czech Republic and offers software localization, testing, multilingual publishing, and technical translation services for companies around the world. By adopting Windows Intune, we can continue to simplify our IT infrastructure, keep costs down, and still offer more IT services to our customers. In 2011, Through the Microsoft Software Assurance program, Moravia IT had the licensing it needed for its PCs that ran Windows 7, but not for older PCs that still ran the Windows XP operating system. The company needed to acquire new Windows 7 licenses for virtual machines, and it wanted to upgrade its physical PCs. In late 2011, Moravia IT began working with a provider of IT services, The IT services provider evaluated the business needs at Moravia IT and proposed that the company adopt Windows Intune—a cloud-based PC-management and security service from Microsoft—and acquire desktop and virtualized versions of Windows 7 Enterprise included with its subscription to Windows Intune. Because Windows Intune is supported with cloud-computing resources delivered as services over the Internet, Moravia IT adopted the service without having to deploy or manage any new hardware or software. At only slightly higher cost than purchasing the 60 virtual Windows 7 licenses it needed, the company upgraded 40 existing PCs from Windows XP to Windows 7 Enterprise and adopted a remote maintenance tool that it can use to monitor and update its PC environment—even outside the Active Directory domain. By using Windows Intune, Moravia IT can provide endpoint protection for PCs with tools built on the same Microsoft Endpoint Protection Engine used in the Microsoft Forefront Protection Suite. By May 2012, Moravia IT installed Windows 7 Enterprise on all of its virtual and physical PCs, and it had begun testing Windows Intune in preparation for implementing the PC-management and endpoint protection features throughout its PC environment. By adopting Windows Intune, Moravia IT obtained the operating system licenses it needed to maintain its virtualized PC environment, kept hardware expenses down, used its hardware and software resources more effectively, and saved money by upgrading and extending the life of its physical PCs. By using Windows Intune to acquire new Windows 7 Enterprise licenses, Moravia IT was able to maintain its virtual PC environment and preserve the one-third infrastructure savings it had achieved through virtualization. The company added to its virtualization savings by obtaining licenses for virtual versions of Windows 7 Enterprise with its monthly subscription to Windows Intune, instead of having to pay the total annual license fees all at once. “By adopting Windows Intune, we can continue to simplify our IT infrastructure, keep costs down, and still offer more IT services to our customers,” says Přemysl Vala, CIO at Moravia IT.